Uncle Tan's Jungle Camp: Everything You Need To Know Before Visiting Borneo! So you are backpacking Borneo and want to have a true jungle experience in a Kinabatangan lodge but on backpacker budget? Well after 4 days in the remote rainforest I can recommend you look no further than Uncle Tan’s Jungle Camp on the Kinabatangan River, only a few hours from Sandakan / Sepilok and easily one of the best camping spots in Malaysia! It is absolutely mind blowing, a once-in-a-lifetime adventure that will leave you desperate for more! And as far as Borneo wildlife tours go – Its was a complete success! In our short stay we managed to see 77 species of WILD animals including 26 species of birds, 6 primates, lizards, giant crocodiles (4-5m) and a ridiculous amount of bugs…. however the biggest highlight for me was seeing Orang-utans on three separate occasions which for me fulfilled a childhood dream! I mean really, how incredible and all thanks to Uncle Tan’s Jungle Camp! Can you spot the crocodile…Its there, when your done being stunned by all the green! YUP, you can’t really enjoy backpacking Borneo without a Kinabatangan Jungle Camp. Uncle Tan Borneo is located on a piece of native land near the Lokan River, a tributary of the Kinabatangan which is the second longest river in Malaysia and renown for its wildlife and fascinating habitats. 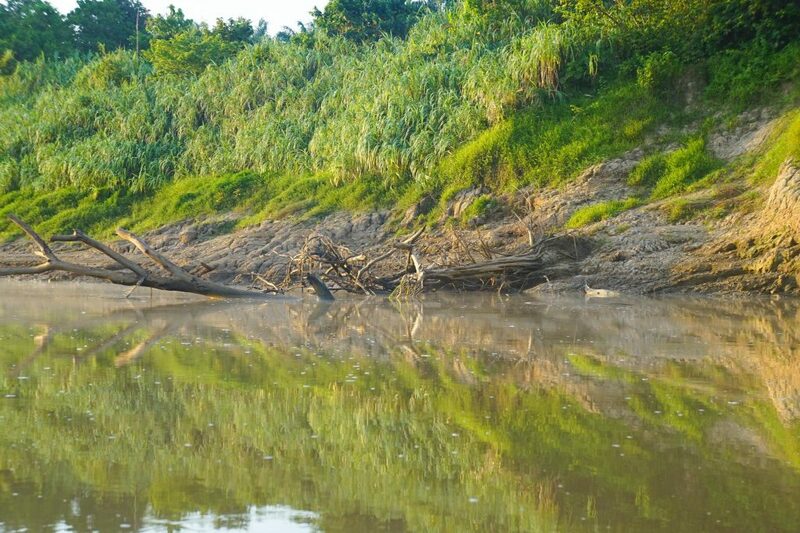 Sadly it is in a minority of sites in the Kinabatangan region that have not cleared their original jungle for cultivation of palm plantation. The native owner who leased the land to Uncle Tan has agreed not to clear the land for palm plantation so by staying here you are helping to preserve this sanctuary for future generations! 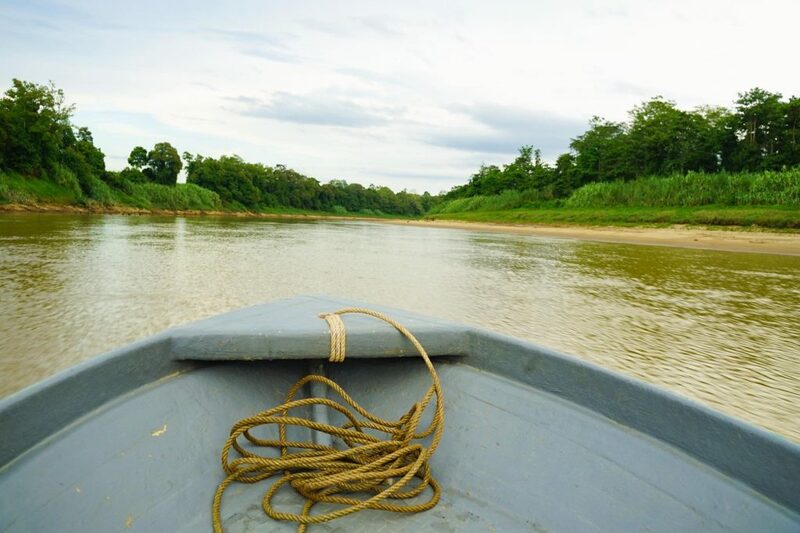 The location is a little bit more “remote” than most other options I looked up and is the only realistic option for doing borneo on a budget without sacrificing doing borneo wildlife tours completely! Not that I think the wildlife really cares how much you pay and being located between a Forest Reserve and Wildlife Sanctuary means there is plenty of opportunity to see … well pretty much everything! 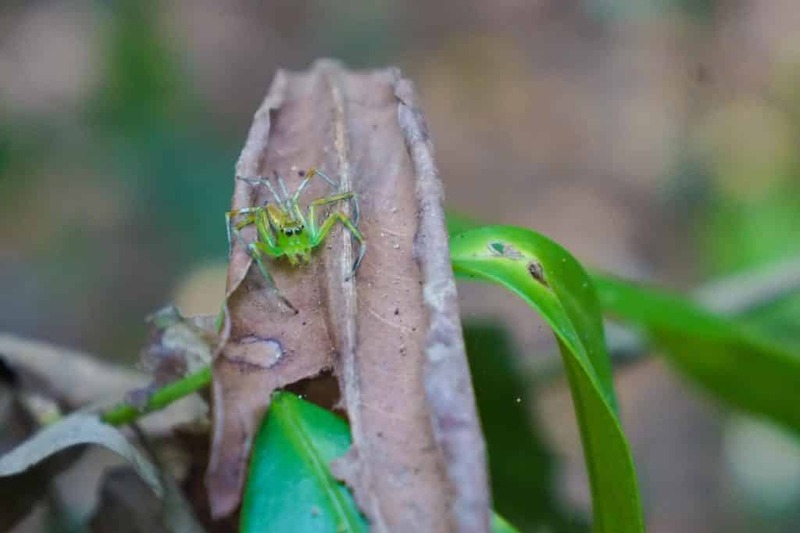 Like this little green Lynx spider…So cute! One of the many residents of Uncle Tan Borneo Kinabatangan Lodge! 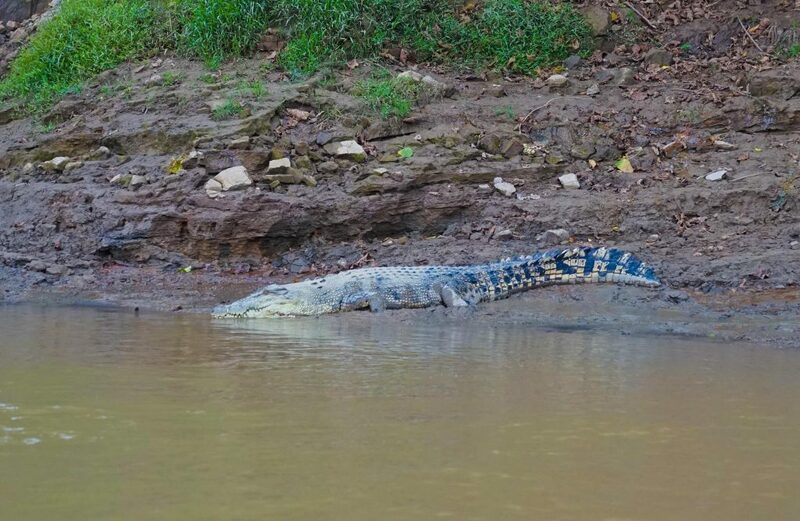 Yes … You don’t get a camping spot in Malaysia anywhere without a few friendly visitors! Uncle Tan’s – A Kinabatangan Lodge offering one of the best camping spots in Malaysia while allowing people to experience Borneo on a Budget! It is possible to stay only one night (2D/1N) at Uncle Tan’s Jungle Camp although to get the best experience, I would recommend at-least two or three night’s stay before returning to the Uncle Tan sepilok base. With a night’s stay, you will still get to do one night safari as well as one morning safari but you won’t have enough time to do the guided trek in the jungle the next day as you would be leaving the Camp… As I discussed with the head guide, the longer you stay the more chance’s you have to see different wildlife and we opted for a 3D/2N package [371 RM return including transfers from the Uncle Tan sepilok base) and extended our stay for a very reasonable 127 RM per night which includes all river Safaris, jungle treks, accommodation in camp huts, 3 meals a day (B,L,D), coffee/tea available all day plus some tea time snacks and biscuits. All very reasonable prices – who said you can’t do Borneo on a budget! I wished we could have extended further as with most things it takes a few days to get into the swing of things, and the guides focus at the beginning on making sure you see the ‘iconic’ species such as proboscis monkeys, orang-utans, crocs and hornbills. When we extended we went on searches further a field and were lucky enough to see more uncommon species such a flocks of rhinoceros hornbills and silver leaf monkeys! And I’m officially never getting in this water. EVER! Possibly no water ever again… Yup, there are the joys of backpacking Borneo! Uncle Tan’s Jungle Camp – The best borneo wildlife tour and is affordable to everyone, including those backpacking Borneo! 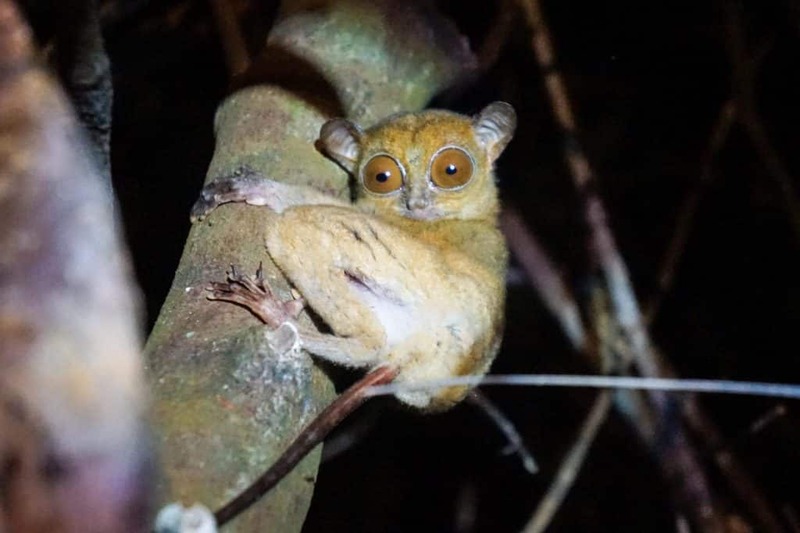 Actually on our last night in our budget Kinabatangan Lodge we were incredibly blessed to see the rare Tarsier, a crazy primate which jumps from tree to tree, is entirely carnivorous, can swivel its head 180 degrees in either direction like owls and have eyes as big as their brain. They actually have the largest eyes relative to body size of any mammal. Our guide had never seen while the camp leader said one hadn’t been seen in nearly two years! You know you have found something special when the guide runs back to jungle camp and all the other guides wake up to come out and get a photo. Such a special moment and perfect way to end our Borneo wildlife tour at Uncle Tan sepilok! I have been on an Amazon Jungle Stay in Peru before (fun fact: its actually antipodal to Borneo) but really this experience at Uncle Tan Borneo is far more intimate and big animals are much easier to spot. Well I’m not quite sure if big is the right word, as everything in Borneo seems to be ‘Pygmy’ – even the people as one of our guides cheekily pointed out! 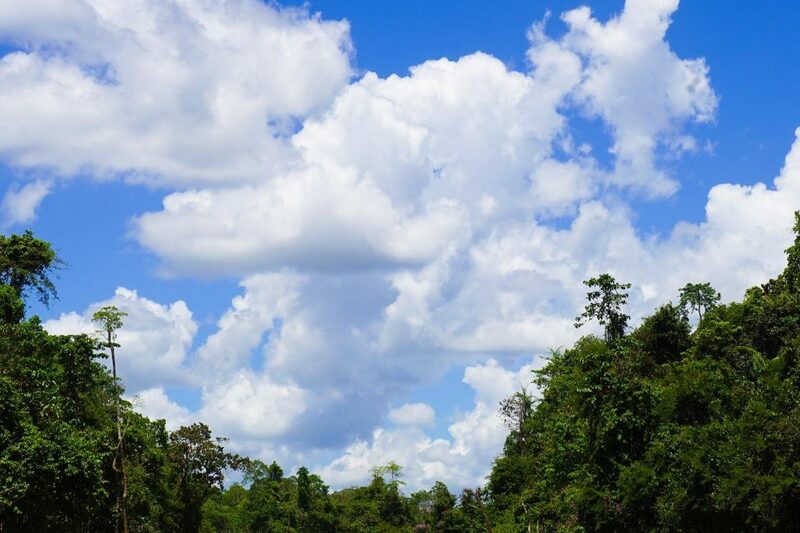 Look at that sky, its not all jungle and river you know…How many camping spots in Malaysia look this good! And all possible while enjoying a budget Borneo trip! Uncle Tan’s has been operating for over 20 years and has cultivated such a professional team of highly qualified and enthusiastic guides going above and beyond at every turn. The head guide, Lan, had been with them for 18 years and inspired us with stories of how the original Uncle Tan picked him up when he had nothing else and had given him a great opportunity, he now has the top rating for tourist guiding in Malaysia, is a wildlife officer, works with local NGO’s to protect the forest and helps train the new generation of guides in english. Most guides are from the local village so this camp is helping not only to educate but to provide an additional source of income instead of palm oil and operates as a non-profit – all the proceeds from Uncle Tan go to a fund for the local village to use for conservation, education and sports. 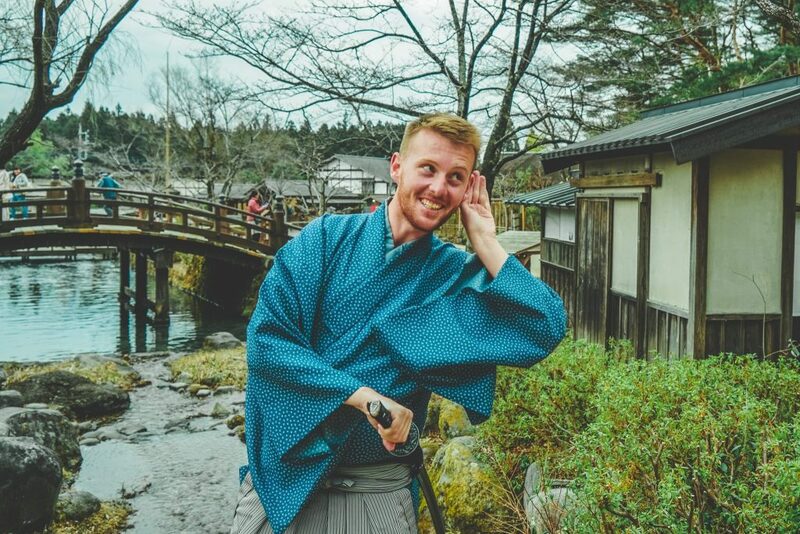 It really was inspiring to see the passion of all of their guides and how excited they were in their job everyday – You just couldn’t fake it and its great to know that your tourist dollar is really making a difference! 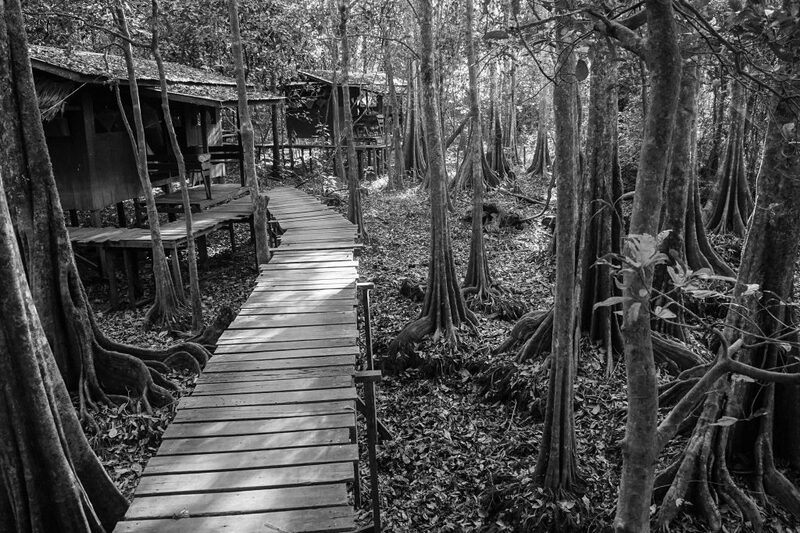 At the Uncle Tan’s Jungle Camp, all accommodation is in the form of raised huts and are all on sharing basis. They are very basic but sufficient as long as you keep the mosquito net closed! You will learn how to do a bug check at night, and to keep you food in a provided plastic container. You will also learn to love the bucket showers they have – There really is something refreshing about showering in river water and leaves your skin feeling amazing. A insider tip is take as many as possible during the hot part of the day and one before bed really helps to combat any ‘stickyness’. Don’t worry it is still one of the best camping spots in Malaysia and if you are backpacking borneo you will quickly get use to the conditions! 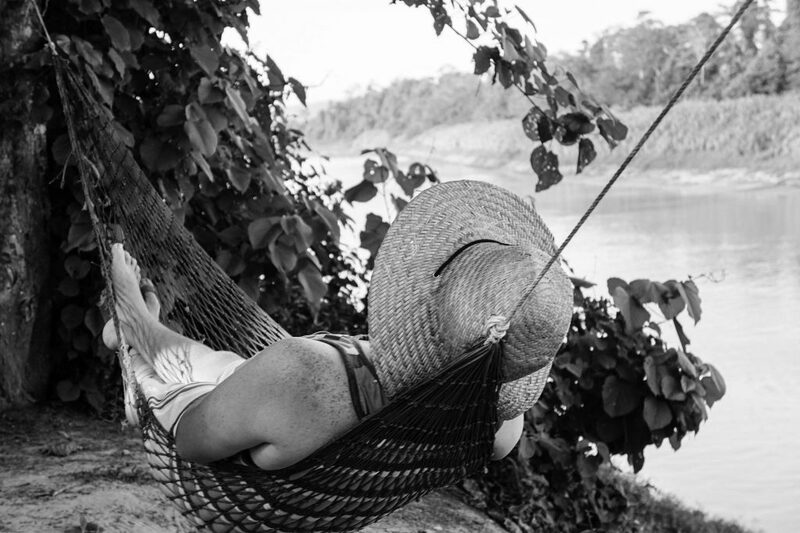 Daily you will go on four activities lasting between 1 – 3 hours, such as river excursions and jungle trekking depending on conditions and recent sightings. 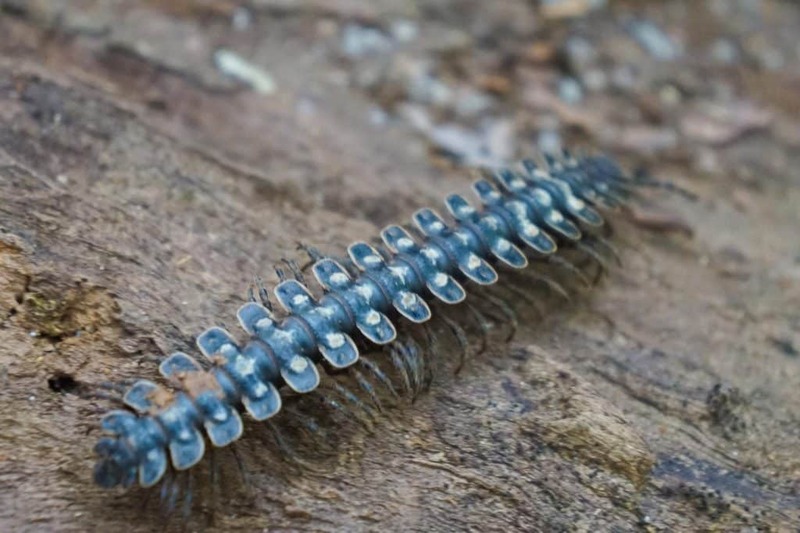 When your not out being immersed in pristine nature the camp has a laid back vibe, great food, amazing hammocks and staff which are eager to help you identify bugs and other animals you may have seen! I forget what this was…But then again, I never really want to see it again.. Just one of the things you can expect to find at camping spots in Malaysia! 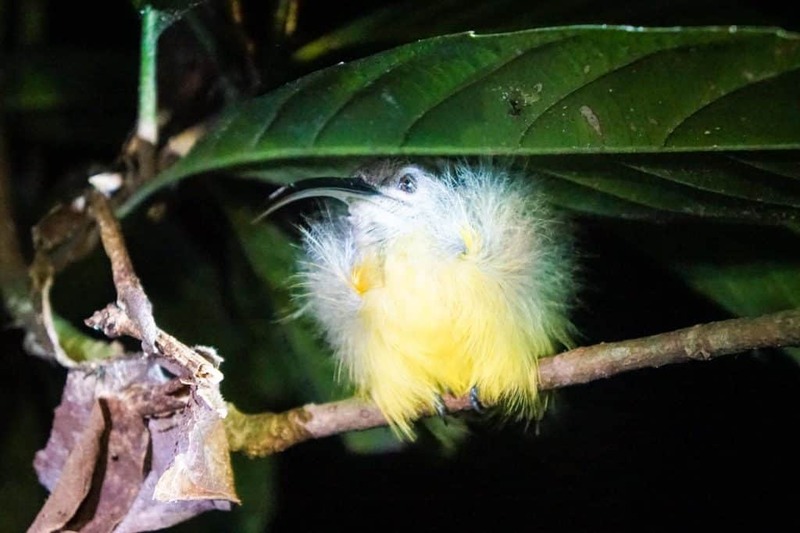 There are also plenty of bugs and birds to watch, cute pygmy squirrels – the worlds smallest squirrel, the occasional naughty macaque monkey troupe a.k.a. the jungle mafia to keep you entertained if you should ever get bored. There is no WiFi, which is a blessing as everyone sits about and chats creating a great vibe, but there is power during times of the day if you need to charge cameras or other devices. The only things not included that you may want to purchase from their staff co-operative could be beer (10 RM), bottled water (3 RM) and soft drinks (3 RM). Rubber boots are also available for rent to protect against fire ants at night during walks for 3 RM. Prices that even those doing Borneo on a budget can afford! Income earned by the staff co-operative goes to the staff. Uncle Tans Jungle Camp takes no commission or percentage from the co-operative. The co-operative is the staff’s little business that the company allows them to conduct, which I think is great – and would suggest they expand into nuts and other snacks for a treat during the day! Your rooms are on the left. A little scary walking to the bathroom at night, but hey! Adds to the Camp Borneo adventure right? Also on the day before or after you leave Uncle Tan’s (roughly leave at midday and return at midday) make sure you take advantage of being in Sepilok and their free shuttle to see the Sepilok Orangutan Rehabilitation Centre and Bornean Sun Bear Conservation Centre … Both deserve a good half day and so maybe one before or after? Try to be at each for feeding time and stay at the Sun Bears for a few hours, they can be a bit shy but when they come out are a complete highlight, the world’s smallest bear and not really possible to view in the wild due to their shyness. Great work being done at both of these places in terms of rehabilitation and conservation! I really can’t recommend however staying at Uncle Tans Sepilok base however – its a bit of a dump – and would instead recommend Paganakan Dii, a great retreat nearby with cheaper prices, free breakfast and shuttle drop-offs and pick ups in the local area. Of course if that is not your style you can also compare all the hotel options in the Sepilok / Sandakan area here. Many with free cancellation incase you change your mind! So all you have to do is sit back, relax and enjoy your Kinabatangan Jungle Camp – undoubtably one of the best camping spots in Malaysia! P.S. I did not receive any discounts or preferential treatment from Uncle Tan’s. I benefit in no way by endorsing them, nor did they know that I blog – I just think they are amazing and need to be supported as much as possible for their good work! And don’t forget to book your pre and post accomodation before hand to get the best hotels in the area (many are truly horrid if you are left scrapping the bottom of the barrel)!